Since 2007, daylight saving time or DST (often mistakenly coined as daylight savings time) is fixed to start on the 2nd Sunday of March and goes on until the 1st Sunday of November. For 2018, DST begins on March 11 and is set to end on November 4. In 2017, DST started on March 12 and ended on November 5. Whether you come from a place that observed DST or not, you might have wondered about the practice at some point in your life. The observance of daylight saving time does indeed have a pretty interesting history, dating back to the days of WWI. There have been pushes and pulls on whether people should continue to practice it and whether it’s still necessary today. As a matter of fact, people have been lobbying to get rid of DST in the US because it’s allegedly causing so much confusion. Everyone knows that DST was first suggested by Benjamin Franklin. But many people didn’t know that he did so by writing a satirical essay about it. The satire spoke of how people would be able to easily adjust to the changes and that it would make them more willing to go to bed at 8:00 PM and be more capable of waking up at 4:00 AM since they got eight hours of sleep. He also mentioned daylight saving as one of the many ways to save on resource, including taxing shutters, saving candles, limited coach travel after dark to emergencies only, and even firing cannons at dawn to wake people up. According to Franklin, he wrote the piece to make fun of the French, who he saw as lazy, pointing at how much sunlight is wasted every day. It turns out people actually took the suggestion to heart. The actual instance of daylight saving time was quite peculiar. There was an entomologist who works at a post office during the day and hunts for bugs at night. He got frustrated with how the sun would set too soon during the summer and thought of setting the clocks in advance would give him more time to hunt for bugs with sunlight. This would also give him more time to do other things as well. He would then switch the clocks back during winter when bugs (and people) were rarely found outdoors. The idea was proposed in New Zealand back in 1895, but the scientific society considered it pointless and complicated. They had no idea that Daylight Saving Time would be a thing all over the world two decades later. Germany was the first country to have officially used DST back in 1916. This was brought about by the need to conserve coal in the midst of World War I. Soon enough, the British and other European nations followed suit. By 1918, the concept had reached the United States. One year after they entered the war, America started practicing DST in order to save electricity. However, most of the countries who observed DST stopped doing so when the war ended. After observance of DST ceased after WWI, the United States reconsidered it in the 1970s when the issue of energy conservation become a hot topic once more. This was because of an oil embargo back in 1973 that resulted in the country’s energy crisis, prompting the government to find ways to reduce the public’s consumption of energy. DST was then imposed in 1974 to help reduce consumption of energy especially during winter. Not everyone was on board with the idea, though, as many families had to deal with having to send their kids to school before sunrise. Although daylight saving time was intended as a strategy to save time, some researchers have shown that it might actually have an opposite effect. It was found that while setting DST to two years earlier would reduce energy consumption, this would be offset by the fact that heating and air conditioning costs would tend to go up. Plus, the extra hour of daylight only seems to matter when people actually used it by going out to enjoy it. While DST has its perks in terms of saving energy costs, there has been some discussion on its impact on human health. 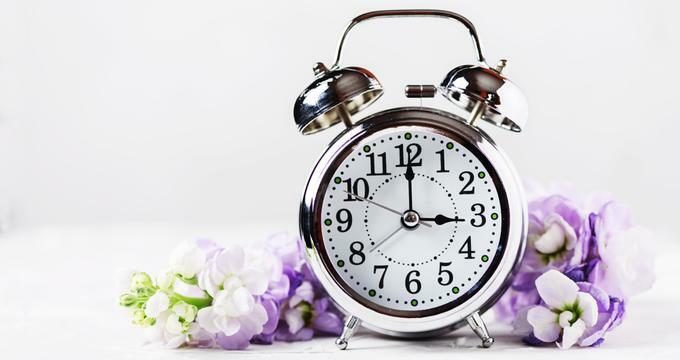 Some studies have shown that extra hours of sleep lost due to DST can affect people’s health in the long term, since loss of sleep have been associated with things like stroke, heart attack, and weaker immune systems overall. It’s not just about the loss of sleep though - it’s more of the change in sleeping pattern. Fortunately, DST isn’t all bad news sans the energy saving effect. One of the most notable benefits to DST is that it has been associated with a drop in crime rates. In a 2015 study, the daily number of robberies has dropped by approximately 7% after the start of DST in the spring season. Much of this was associated with the fact that the streets stayed lit even during the evening hours. It’s not just a randomly picked hour that people agreed upon. The adjustment on the time was pegged at 2:00 AM because that was the time when most people would hopefully not be able to notice it, allowing them to transition smoothly. DST is indeed an interesting concept. Hopefully the facts above gave you more insight about the topic.